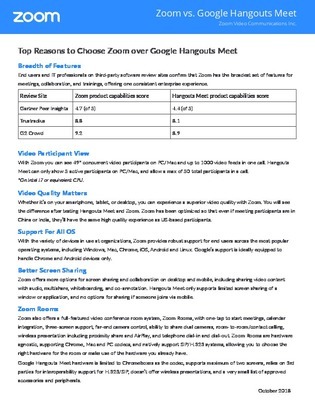 Zoom vs. Google Hangouts Meet: Which is right for you? Today’s mobile professionals need to be able to work and videoconference wherever they are, and cloud-based communication systems make that a lot easier. In this white paper, learn about 2 different cloud communication systems and their features, and how they can help you be more productive and collaborative.